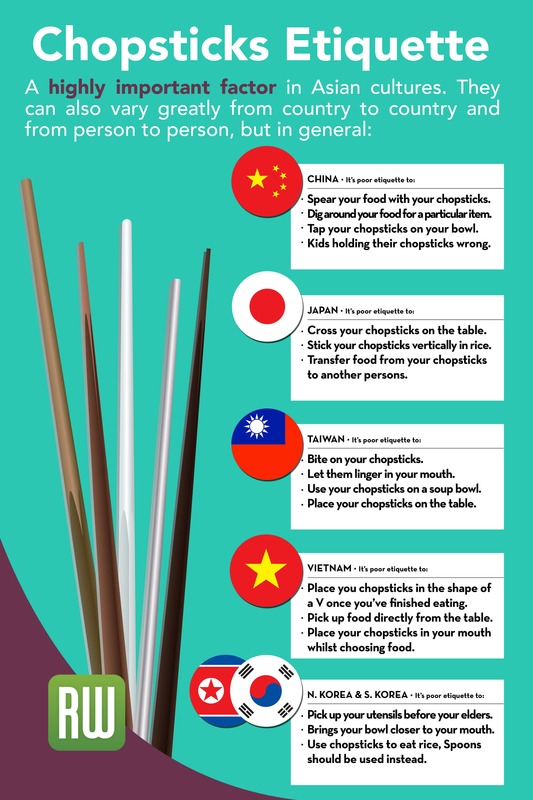 Do you really know Chopsticks? Chopsticks have been popular eating tools in China, Japan, Korea and Vietnam for many years. In this area of the world, chopsticks are crafted from bamboo, wood and plastic materials. In the United States, chopsticks are mostly made out of wood. It can be slightly difficult for a person to use chopsticks, but primarily you just have to put the chopsticks in your dominant hand, places them between your fingers and thumb, then use them to eat all your delicious food creations. 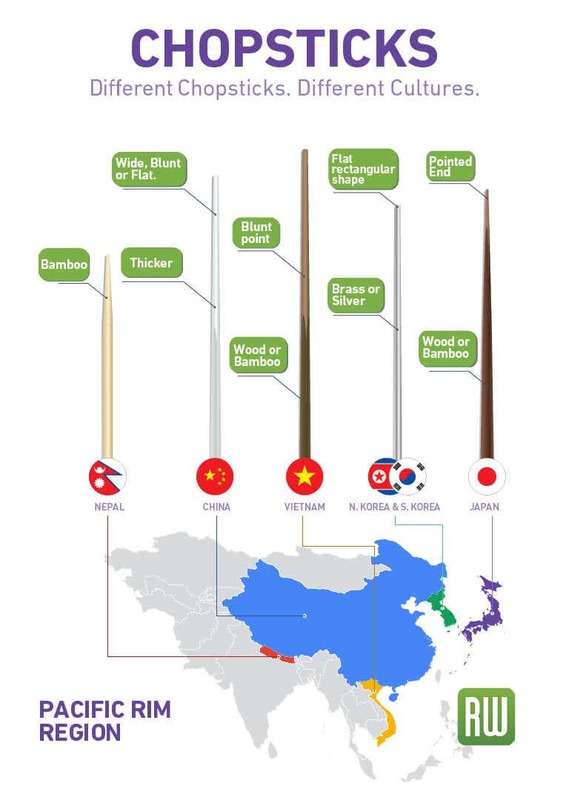 In China: Chopsticks are made longer and thicker than in other areas of the world. They usually measure 25 cm long with circular sides. The chopsticks that you find in China also have wide, tapered ends making it slightly easier to use them. In Japan: Chopsticks are shorter and taper down to a pointed end. You will find that the chopsticks you find in Japan have a lacquer finish. Many places in Japan offer shorter chopsticks to women, while giving men chopsticks that are longer. In Korea: Chopsticks are made with a medium length, they have a flat shape. Years ago, chopsticks in Korean were crafted from brass, silver and most have a decorated design. In Vietnam: Chopsticks are similar to the ones in China, they have a blunt end. In addition, these chopsticks are often made from lacquered wood or bamboo. In Nepal: Chopsticks are usually made from bamboo, they are short in length. Once you get the hang of using chopsticks, you will wait to see them all the time, they are fun and intriguing eating utensils that have been used for over 5000 years. So now ... how much did you know about Chopsticks?